The word “coinsurance” may be the most misunderstood and confusing term in the world of insurance. One definition of “coinsurance” is used interchangeably with the word “co-pay” – the amount the insurance company pays in a claim. An eighty- percent co-pay (or coinsurance) clause in health insurance means the insurance company pays 80% of the bill. A $1,000 doctor’s bill would be paid at 80%, or $800. The above definition also applies to coinsurance in liability insurance. Few policies have such a clause. Some professional liability and directors’ and officers’ policies in the past included coinsurance. The provision was usually a part of the retention or deductible in a policy. Some employment-related practices contracts have coinsurance. The term “coinsurance,” when used in the context of property insurance, has an altogether different meaning. Here, coinsurance is the percentage of value that the policyholder is required to insure. A building with a value of $1,000,000 and a policy with an 80% coinsurance clause must be insured for at least $800,000. To make life more complicated, “value” is determined at the time of the loss. If the amount of insurance is found to be under the coinsurance percentage, then a penalty is applied which reduces the claim payment. This hurts the policyholder. $200,000 X .75 = $150,000. The policyholder will receive $150,000 (less any deductible) for the $200,000 claim. 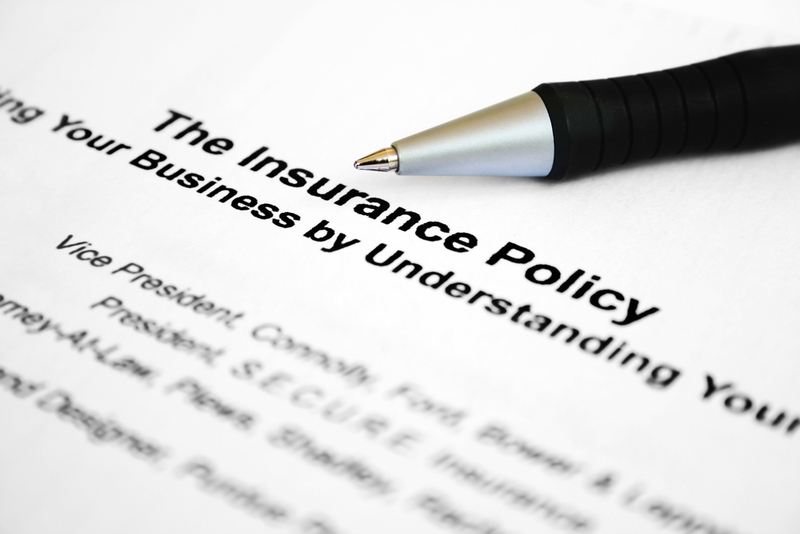 Almost all property insurance policies contain a coinsurance clause. Building insurance, contents coverage, computer coverage, inland marine policies, and tool and equipment floaters all contain the penalty clause mentioned above. Some require 100% of the value! Once upon a time, monitoring employees consisted primarily of sprinkling around a few video cameras in the warehouse to detect inventory pilfering. Times have changed: Today you can harness "behavioral modeling" software to try to assess employee productivity, using multiple data inputs combing activity on their computers (including web browsing activities), GPS data and other information. One monitoring service vendor boasts that you can "know what your employees are doing every second of the year." Telephone monitoring. Under just about any scenario, you can monitor employees' telephone calls, either by recording them or tuning in. Some states, such as California, require that you give them a heads-up if you are recording calls. Most don't. However, if you're monitoring calls and you happen to listen in on a conversation that clearly is personal in nature, you are obliged to hang up. Yet if your company has a "no personal calls on company phones" policy described in your employee handbook, you can make note of a violation of that policy. Telephone records. You can review logs of individual employees' calls by the phone number dialed and the call duration. Conversations among employees. Generally these can be monitored on the same basis as business-related telephone conversations. Computer keystrokes and terminal monitors. Software is readily available that allows you to do this, and in general it's legal -- unless you have a formal agreement with employees not to do so, of course. The same applies to monitoring the amount of time employees spend active at the computer. Email. The email from and to employees who are using company-owned computers is not private. That includes Gmail, Yahoo or other such personal web-based email accounts accessed via a company computer. Employers also can review deleted email. Text messages. You generally can access texts to and from employees on company-owned smartphones. Similarly, you can also monitor the audio of calls placed on company-owned mobile phones. Snail mail. Mail addressed to an employee at the workplace generally can be opened by the employer. However, this area is somewhat murky; consult an attorney before proceeding. Video monitoring. As noted earlier, this has long been a common practice. Common sense exceptions must be made for places like locker rooms and bathrooms, however. Tracking employees via GPS systems. This generally is allowed if their movements are based on the requirements of their job, such as making deliveries, taking checks to the bank, and so on. However, it's best to inform employees that this is your practice. It's a good idea to get a labor attorney to guide you with respect to monitoring policies that may seem particularly intrusive. In general, spelling out your monitoring policies in your employee handbook is a good idea so that employees have been given fair warning. In some cases it might also be wise to get their written acknowledgement of their understanding of that policy. 1. What are the risks you are trying to reduce? 2. How serious are those risks? 3. How effective will the monitoring method be in reducing those risks? 4. 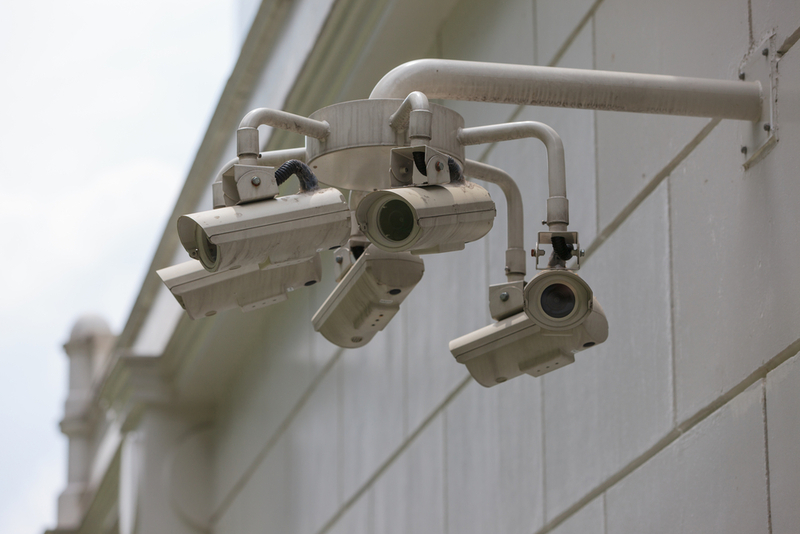 How will employees respond to the knowledge that they are being monitored? As James Madison famously once wrote, "If all men were angels, no government would be necessary." Or to quote a more recent U.S. president, Ronald Reagan, "Trust but verify." Some level of employee monitoring is generally required in all work environments. Yet be careful not to take it too far. If employees feel they are working under a microscope at all times, many will, logically, interpret this as the employer viewing them with distrust. Believing that your company considers you untrustworthy is anything but motivational. To limit that effect, new employees and all employees on a regular basis should be told how and why your monitoring policy was developed. It should be stressed that employees are valued and trusted, and that monitoring systems can offer them as much protection as the employer to the extent it keeps any unjust accusations from being leveled against them. Are you, and your tenants, protected? 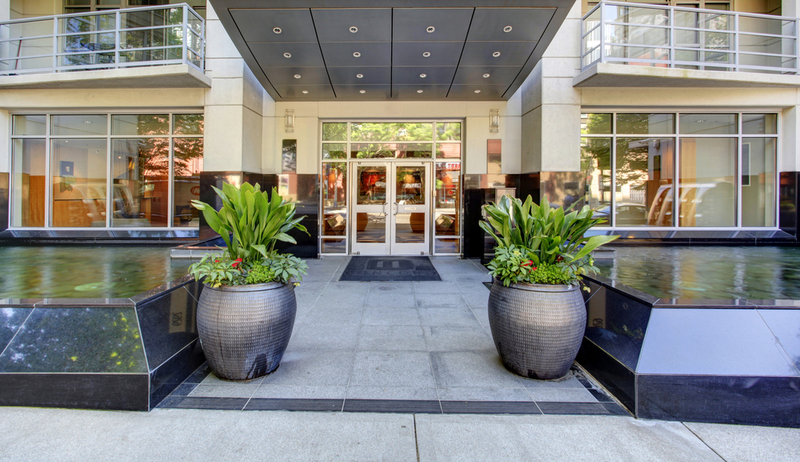 Owning a residential rental property is first and foremost an investment. And like any investment, its success depends on generating income, or in other words, its ability to attract tenants. 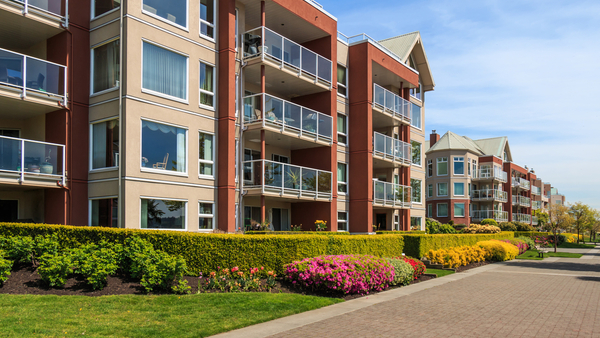 With more than 108 million renters in the U.S. and over 22 million landlords according to the Rental Protection Agency, it’s easy to see why property owners and landlords need to identify potential hazards for tenants and guests, and address them accordingly. 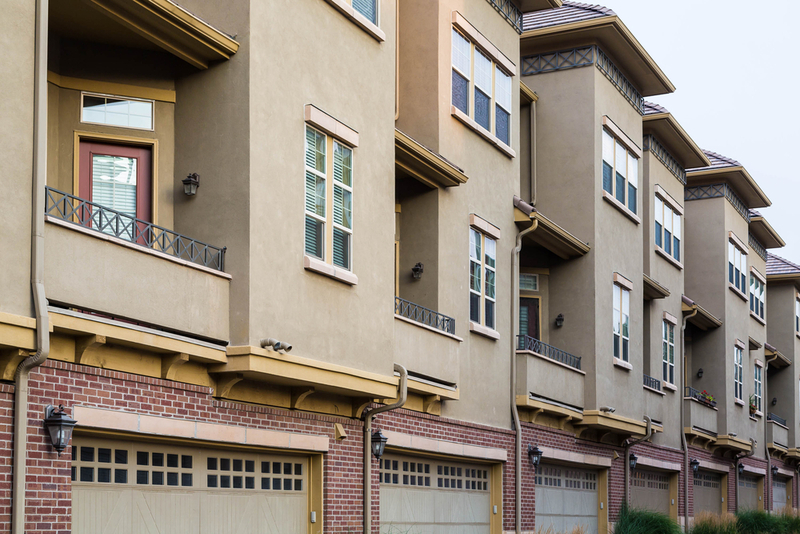 The National Multifamily Housing Council says more than 43 million households or 35% are renter-occupied. The largest segment of renters, 17%, are 30 years of age or younger. The cities with the largest number of renters include: New York, N.Y.; Los Angeles, Calif.; Chicago, Ill.; Houston, Texas; Philadelphia, Pa.; and Phoenix, Ariz. The majority of renters (43%) live in single-family homes and 35% of renters live in structures with five or more units. All entry doors, whether at common entrances or individual apartments, should be of solid wood construction or steel, and any glass panels should be reinforced and shatterproof. A deadbolt lock should secure each apartment door and be changed or re-keyed when a tenant moves. In addition, a door chain allows tenants to see who's at the door without completely opening it. A peephole is even better. Windows should also have working locks. Dark areas not only invite crime, they frighten tenants. Indoor hallways should be well lit at all times. LED bulbs provide excellent light. Floodlights along paths, parking areas and garbage disposal areas can be controlled by timers or sensors to provide lighting from dusk to dawn. Less-visited spots such as storage areas can be connected to motion-detector lights to save energy. PTZ (pan tilt zoom) for large areas like walkways, swimming pools or parking lots. Fixed cameras for enclosed areas such as front and back entrances, as well as elevators, mailbox areas and stairwells. 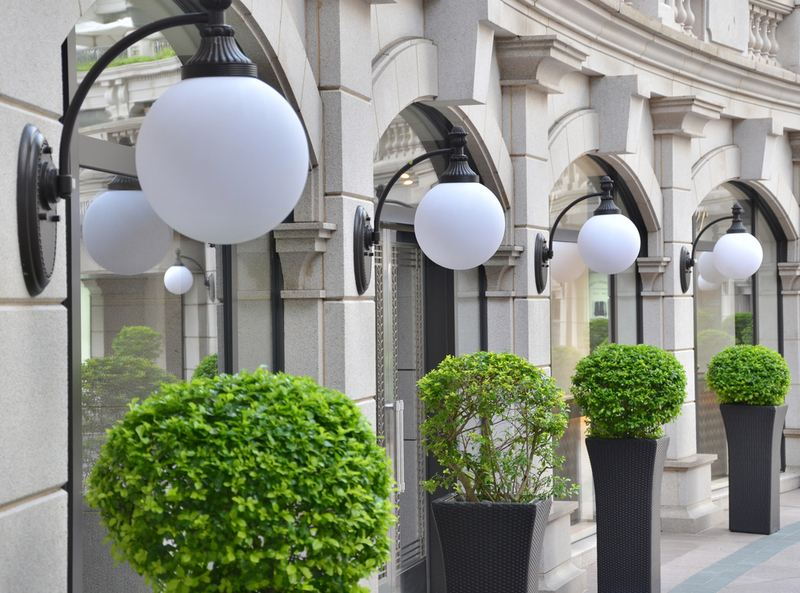 Day/night cameras for outdoor areas that get round-the-clock foot traffic or indoor areas where lights are dimmed overnight. Cameras protect the landlord in liability cases as well, since they can capture a fall or accident and confirm whether or not the property contributed to the incident. 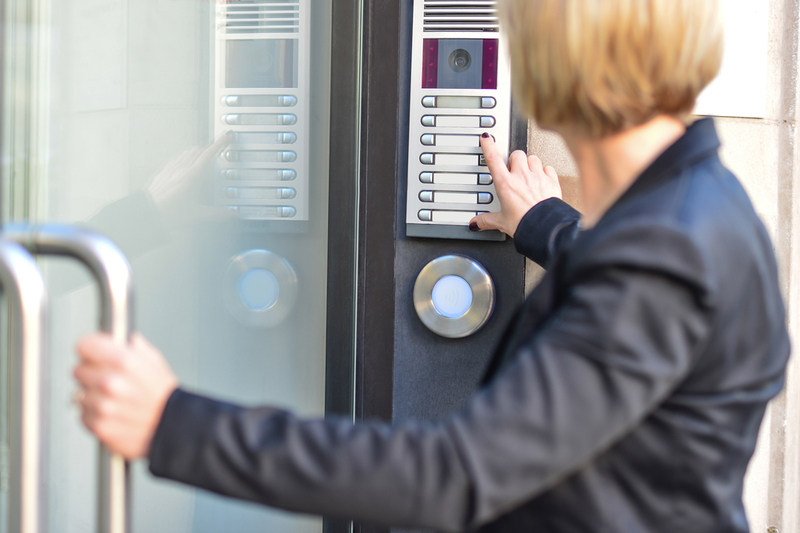 In a multi-dwelling property with a main locked main entry, a multi-line intercom at the entrance allows tenants to communicate with anyone who rings the bell before allowing them access into the building. Some systems have built-in cameras for added security. Not all crime comes from outside of the building. A landlord or property manager should diligently screen prospective tenants to make sure they are law-abiding individuals who will pay their rent, respect the rights of their fellow tenants and will not damage the property. 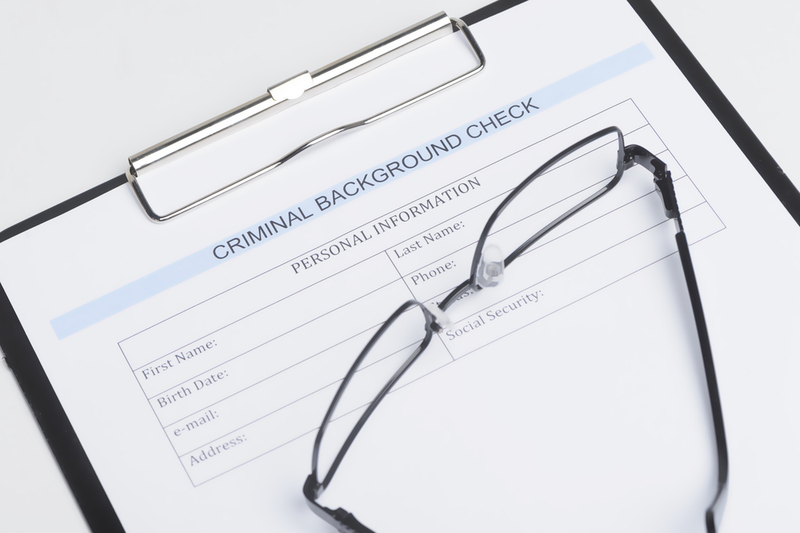 In addition to an interview, candidates should fill out an application in which they give the following information to enable a credit and background check. Sometimes evictions are necessary. Sooner or later an irresponsible tenant will disturb the neighbors, destroy or damage the property, or fail to pay the rent. 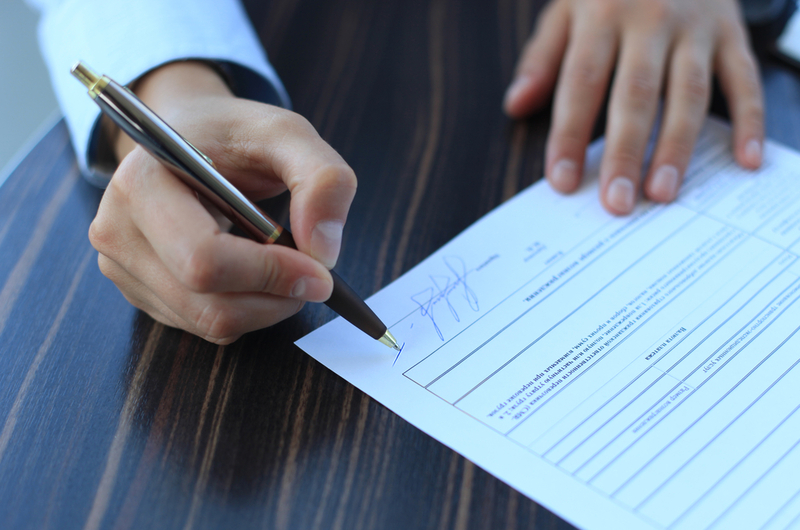 To protect themselves and make the eviction process flow smoothly, landlords should require a signed rental contract spelling out both landlord and tenant responsibilities and grounds for eviction. Since a signed and dated agreement will serve as a legal document in what could be a long eviction process, all rental contracts should be stored in a fireproof, locked file or safe. 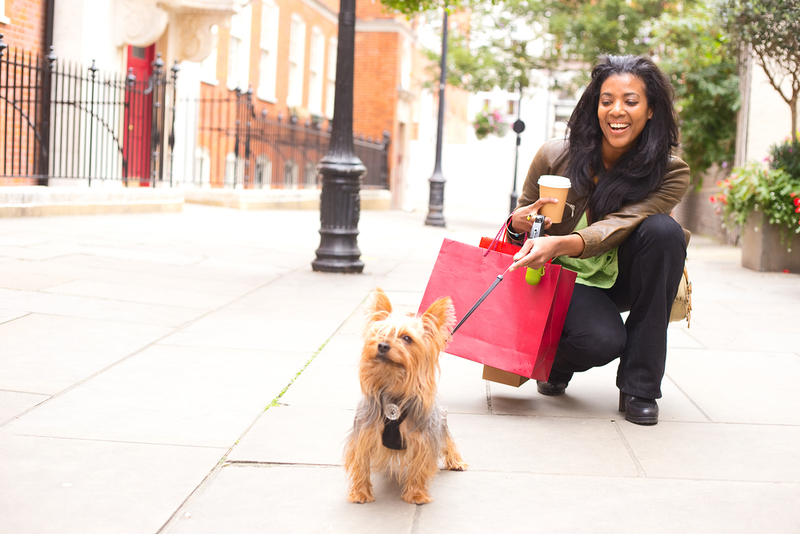 Non-pet owners should be required to sign the agreement as well in case they acquire a pet after establishing residency. 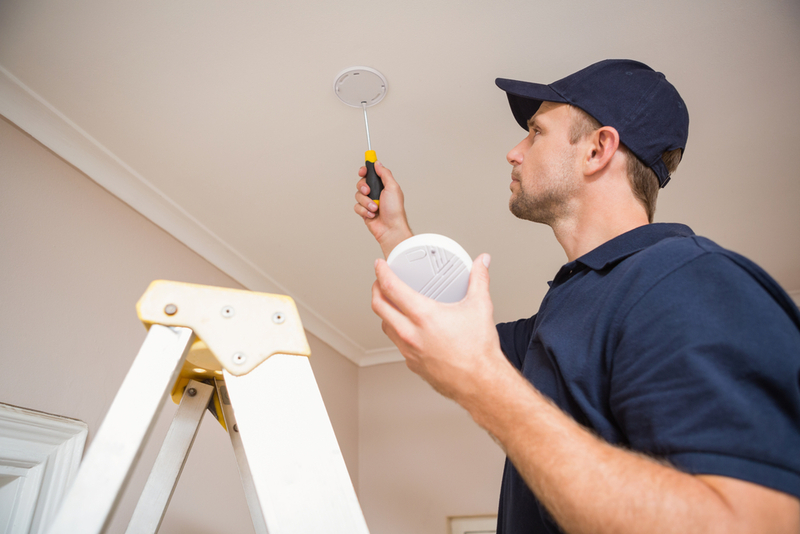 No list of landlord precautions would be complete without smoke and carbon monoxide detectors. Many states require them, but regardless, any responsible landlord or property manager will make sure each unit contains functioning detectors and accessible fire extinguishers in common areas. Appropriate risk management strategies protect the tenants and the property owner, providing a safer environment for all in which to live and work. Employers will soon have to adopt a new system for coding and reporting workplace injuries and illnesses that could help them improve their claims reimbursement rates. Effective Oct. 1, 2015, all entities covered under the Health Insurance Portability and Accountability Act (HIPAA) will be required to use the International Classification of Diseases, Modification, and Procedural Coding Systems (ICD-10) to report injuries and illnesses to the Centers for Medicare & Medicaid Services (CMS). CMS has directed that responsible reporting entities—including workers’ compensation insurers and claims administrators—also need to adopt ICD-10. Employers need to understand how ICD-10 affects them and how they can ensure that their claims administrators and reporting agents comply with the new rule. Currently, non-group health plans are required to use ICD-9 codes to report workers’ compensation-related injuries to CMS, which has become an outdated method of classifying injuries and illnesses. Because new injuries and illnesses cannot be added to the system, CMS often has insufficient information about the specific nature of injuries and illnesses. This has contributed to a reduction in reimbursement to workers’ compensation payers over the last several years. The passage of HIPAA in 1996 mandated the adoption of a new, universal standard for diagnosis coding. Although the deadline has twice been extended, there has been no indication from Congress, the U.S. Department of Health and Human Services, or CMS that the Oct. 1, 2015, deadline will be extended again. ICD-10 allows for greater specificity of diagnoses because the codes have five to seven characters, compared to the three to five characters used in ICD-9. Once adopted, hospitals and other providers will be able to provide more detailed descriptions of patient conditions in medical records and other documentation. Most notable is the introduction in ICD-10 of laterality—for example, whether an injury is to the patient’s left or right arm, leg, or another body part. The additional information that can be conveyed via ICD-10 codes can affect the delivery of utilization management services, including pre-certification and nurse case management. For employers and their claims administrators, these improvements should translate into better quality measurement, better reporting and injury tracking capabilities, and greater accuracy for reimbursement. HIPAA only applies to certain covered entities, such as health care providers, health insurance plans, and entities that process or serve as “clearinghouses” for health care information. But in January 2015, CMS issued a technical alert noting that workers’ compensation payers and other responsible reporting entities must use ICD-10 for all claims with a date of injury on or after Oct. 1, 2015. 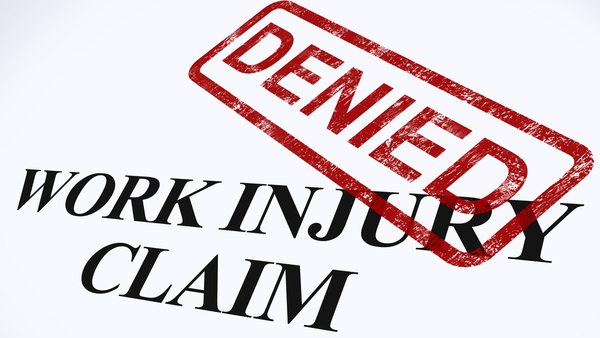 Claims with a date of injury before Oct. 1 can be reported using either ICD-9 or ICD-10, but the two codes cannot be mixed for any single claim. For many organizations, converting all pre-Oct. 1, 2015, claims to ICD-10 may be costly and time-consuming. But for high-dollar-value claims or high-profile claims that an employer expects it will need to manage for some time into the future, it could be beneficial to consistently use ICD-10. Ultimately, it may boil down to case-by-case decisions. However, it is important to establish and maintain a consistent method to report claims. For claims for injuries on or after Oct. 1, 2015, employers should ensure that their software and technology allows for the coding of ICD-10. 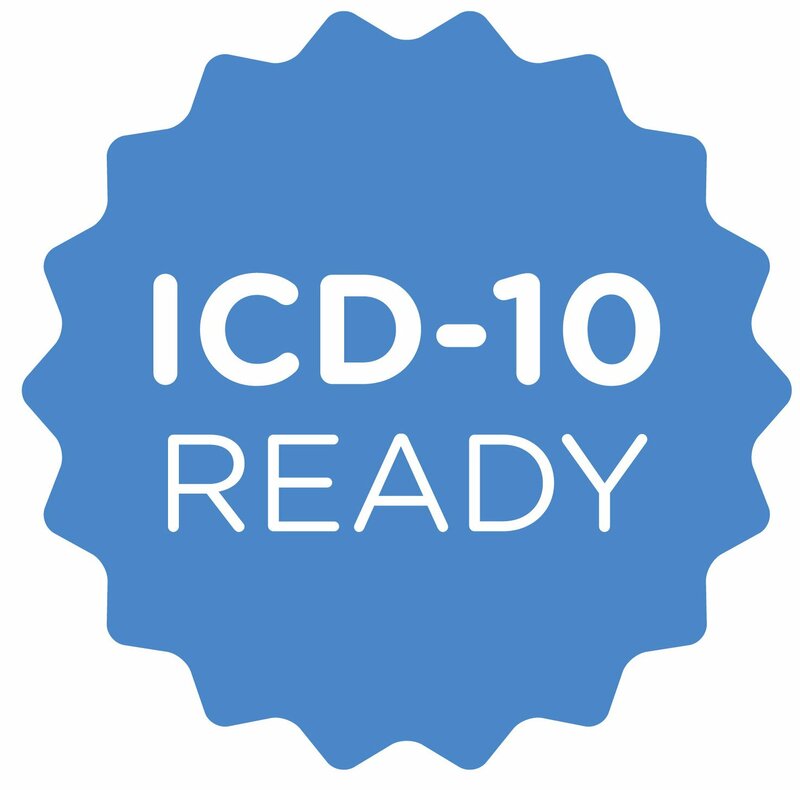 Ensure that reporting agents are ready for the transition to ICD-10, working with CMS to test their systems for ICD-10 compliance before Oct. 1, 2015. Train claims adjusters and others on how to apply new ICD-10 codes. Have accessible, easy-to-use tools to look up ICD-10 codes and convert codes from ICD-9 to ICD-10. Over the past 50 years, every state has experienced flooding or some sort of flash flood. This means that as a homeowner or renter, you don’t have to live near a body of water to be exposed to the dangers of flooding. Heavy spring rains, a sudden thunderstorm or melting snow from the mountains hundreds of miles away can be enough to cause rising water and flooding in the most unexpected places. The Midwest frequently experiences river flooding, the Northeast can suffer Nor’easters and spring melting, and the West Coast frequently has flooding from November through March. A flash flood can bring a wall of water anywhere from 10 to 20 feet high. A few inches of water from a flood can easily cause tens of thousands of dollars in damage. If you’re a homeowner, the purchase of flood insurance is mandatory if the property is located in a high-risk flood area, and some lenders can still require it if you live in an area with a lower risk of flooding. Floods are No. 1 disaster in U.S. Many people don’t realize the floods are the number one disaster in the U.S. and the cost of recovery grows every year. According to the Federal Emergency Management Agency (FEMA), the average flood claim from 2008 to 2012 was $42,000. In 2012, the average flood insurance policy cost $650 per year. In 2014, average claims paid ranged from a low of $10,476 to a high of $42,275. Flood insurance rates in 2015 are expected to increase by as much as 18%. 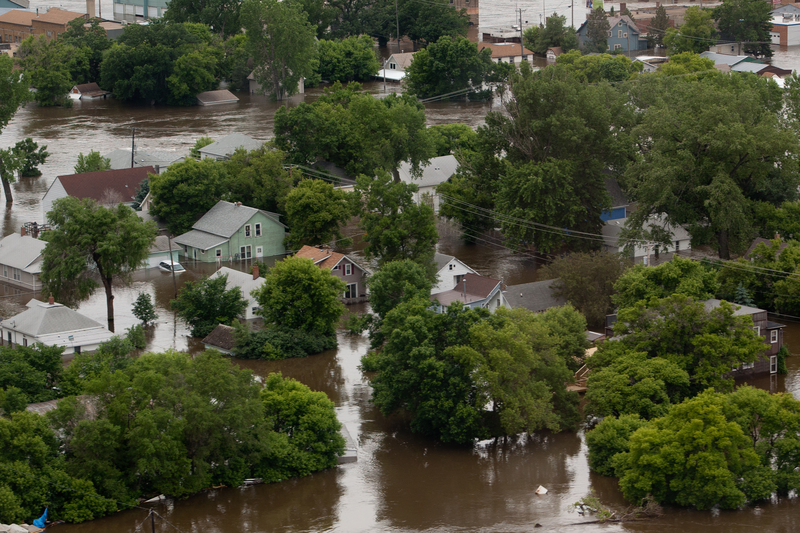 Hurricane season doesn’t start until June 1, and even though a quiet season is forecast, heavy rains across the Midwest and South are already causing flooding problems. 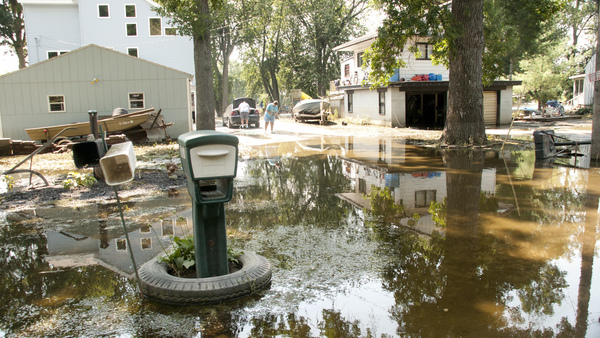 Here are 5 things you should know about flood insurance and preparing for flooding disasters. 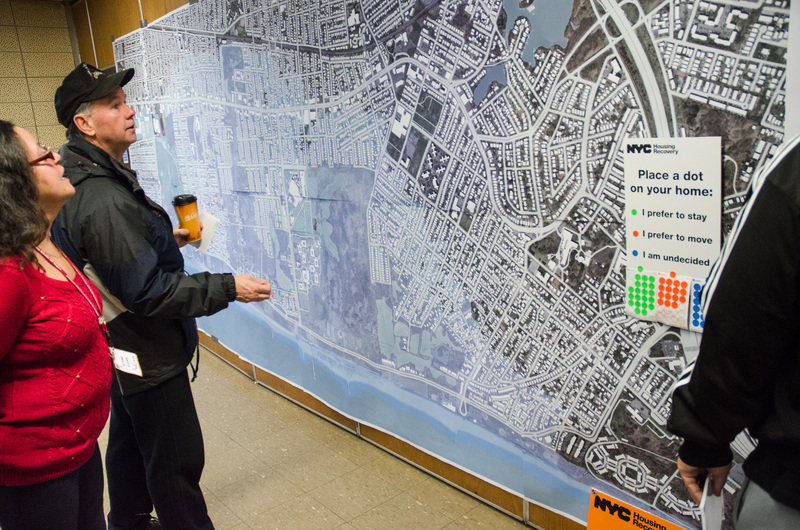 Flood hazard areas are identified by the National Flood Insurance Program (NFIP) as one of three specific areas. Special Flood Hazard Areas (SFHA) and are defined as areas have a 1% chance of being inundated by a flood event in any given year. The 1% flood chance is often referred to as the 100-year flood or as the base flood. SFHAs are labeled as Zone A, Zone AO, Zone AH, Zones A1-A30, Zone AE, Zone A99, Zone AR, Zone AR/AE, Zone AR/AO, Zone AR/A1-A30, Zone AR/A, Zone V, Zone VE, and Zones V1-V30. Moderate flood zones fall within the 500-year flood zone or have a 0.2% chance of flooding and are identified as Zone B or Zone X. Areas identified as having a minimal flood hazard are higher than the 0.2% elevations and are identified as Zone C or Zone X. Lenders believe that residents who live in a high-risk flood area have a one in four chance of flooding during the term of their 30-year mortgage and that’s why flood insurance is required. Homes in moderate and low risk areas that have mortgages are typically not required to have flood insurance. The NFIP has a Flood Insurance Rate Map (FIRM) which identifies the flood hazards for a community. FIRM has a tutorial for homeowners to help them identify the flood risk for their property so they know whether or not they should insure their home from a flood loss. 2. What does flood insurance cover? Flood insurance covers both the building and contents inside, but it doesn’t cover the land on which the dwelling is located. There may be limited coverage for basements, crawlspaces, lower floors and enclosed floors of elevated buildings. 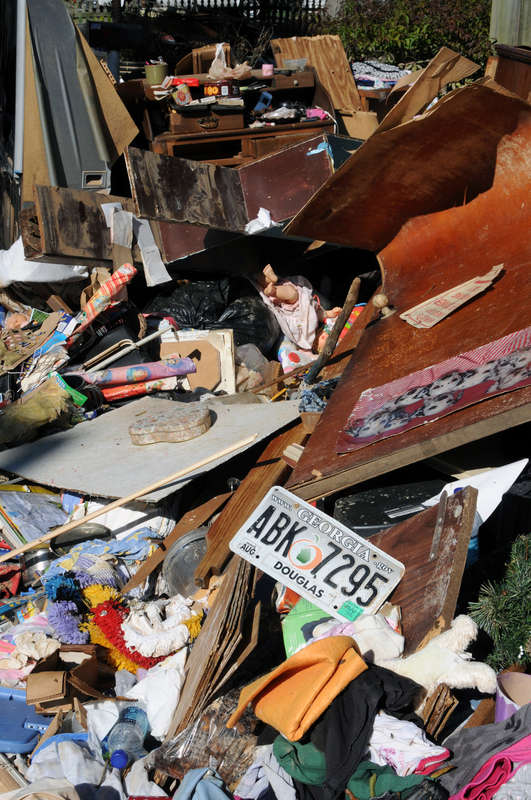 Dwelling coverage will cover property up to $250,000 and contents coverage insures up to $100,000 of personal property. The NFIP recommends purchasing both types of coverage since homeowners insurance will not cover losses attributed to flooding. Flood insurance is not a valued policy and does not pay more than the policy limit for any losses. Like other insurance policies, purchasers must determine their deductibles for their property and contents coverage, which will affect their rate. Most self-propelled vehicles – e.g., cars, motorcycles, four-wheelers, etc. 4. Who should be insured? Anyone who lives in a building located in a NFIP community should have flood insurance whether they are an owner or renter. Flood insurance is available for individuals who live on a floodplain or in a high-risk area, even if the property has been flooded before. A number of factors will affect the rates such as the type of building, contents, whether or not the property has a basement, if all of the contents are located above ground level, the building construction, the property’s elevation and where the physical property is located (in a high-risk or low-risk area). While most flooding disasters will come with some warning, there are steps that homeowners can take to prepare their properties well before an event occurs or even to prevent minor flooding mishaps. Make sure that gutters and downspouts are clear of debris and drain away from the structure. Landscaping should not allow water to collect next to the foundation of the building. Remove any damaged or low-hanging branches. Check low-lying areas that are vulnerable to water and ensure that they drain away from any basements or foundations. Walk through the basement to see what furniture, photos, electronics or other contents could be compromised or damaged during any flooding, and move them to a higher location or place them in protective, waterproof containers. Do a full inventory of the home and contents – Going room by room with a video camera and taking photos with a digital camera provides a quick inventory of collectibles, works of art, antiques and other irreplaceable items. The inventory should be stored somewhere other than the home or at least uploaded to the cloud. Collect insurance policies pertaining to the home and be familiar with what they do and do not cover. Ask your insurance agent to do a review of policy limits and exclusions so you know what’s covered. Prepare supplies in case of a power outage– stock up on essentials like batteries, bottled water, canned goods, flashlights, etc. 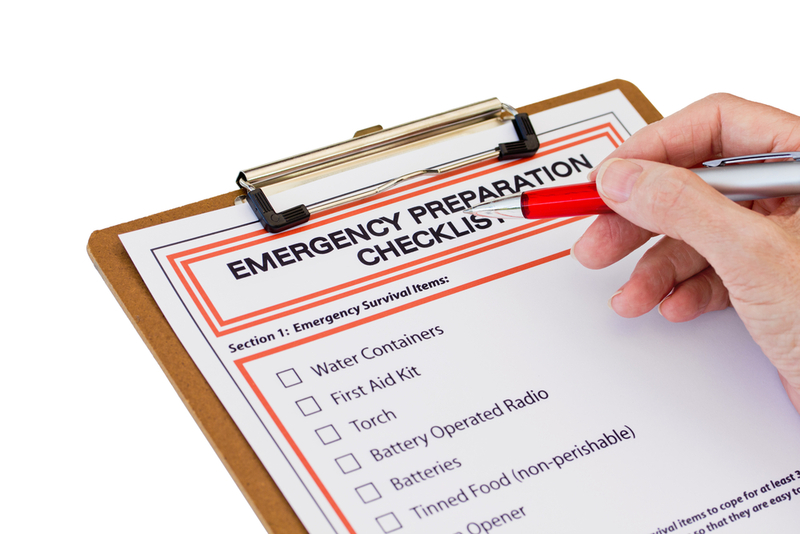 Taking these steps ahead of time, preparing for a variety of disasters and thinking through what to do and where to go will help save precious time if an unexpected emergency or disaster does occur. Reviewing insurance coverages and reducing the risk where possible will also make the recovery a little easier. In Mississippi, a mall owner was found negligent for injuries a woman sustained after an assailant attacked her in a parking lot of a shopping mall. A patron walking by saw the attack and reported it to security, who upon initial response found the assailant holding a knife and the victim in the vehicle. The security guard called an associate security guard for assistance then left the scene. The victim survived with non-life threatening injuries and was awarded $40,000 in damages. The mall owner appealed, arguing that the the contract security company was at fault. 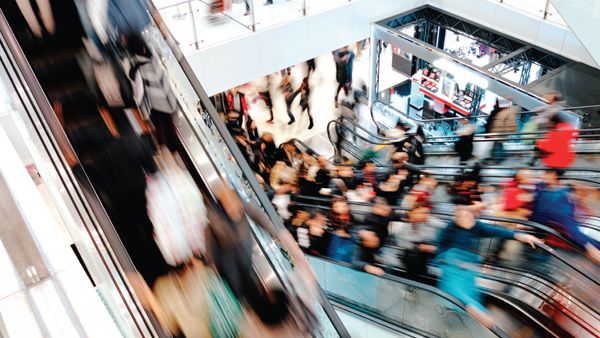 However, the appellate court affirmed the lower court's decision, citing that the mall owner could not delegate his liability to the security company. While the exposure for this did not end up being financially catastrophic, this is just one of many examples of the necessity to manage services provided in the areas of maintenance, janitorial and security for commercial, healthcare and public enterprises. Slips, trips and falls are an anticipated risk in most operations, yet remain a challenge to mitigate and manage as noted by The National Center for Injury Prevention and Control. The Center also reported falls as the number one cause of non-fatal injuries in the United States for 2013. Maintenance and janitorial services provide opportunities for prevention of these losses by their diligence in managing the risks. These opportunities can be extended to provide a defense against liability where consistent response management and documentation of those responses is clear. Technology creates an ever-evolving landscape for society, and the impact on risk is no different. With cellular technology and wearable electronic devices, privacy and security are a concern for all industries. Maintenance, janitorial and security personnel in their roles typically have access to areas that are not open to the general population for that organization. Instituting a check and balance system to avoid alignment of control or the ability to manipulate the information shared will assist in mitigating the potential exposures, as well as deter those who may view this security as an opportunity. Employee interaction and relations play a role in any workforce, and notably in these fields. Maintenance, janitorial and security staff are roles in which there is a great deal of interaction with others not necessarily under the same management (whether internally or externally). The level of independence in these roles and volume of interactions creates an opportunity for employee relation situations such as discrimination, harassment and a hostile work environment. Having strict procedures including investigation of every allegation/complaint, a response to the complainant, as well as a zero tolerance disciplinary process in place helps insulate the organization from liability. Hiring practices and discrimination concerns arise in all industries with the security service industry posing an interesting challenge. While the Americans with Disabilities Act requires that an applicant or employee be evaluated for the job based on the essential functions of that job, the question arises: What are the essential functions of providing security services? The EEOC's Miami district office recently found a security guard was discriminated against after being let go based on a patron complaint that this guard had only one arm. Having clearly defined physical requirements and essential functions of all roles within an organization is the best way to mitigate this type of discrimination exposure. Security roles continue to be a way enterprises can ensure the safety of their patients and patrons. In providing these services, some inherent risks arise. A majority of security personnel are private citizens with no civil authority, but rather the same authority as a member of the general public. This creates a unique set of exposures, including harassment, false detainment and assault. While the involvement of security should be to protect the property and safety of those within the enterprise, the levels of response should be relative to the threat posed. Policies should delineate response levels and identify the circumstances when these responses are appropriate. Security exposures take on different roles in patient and domestic situations. 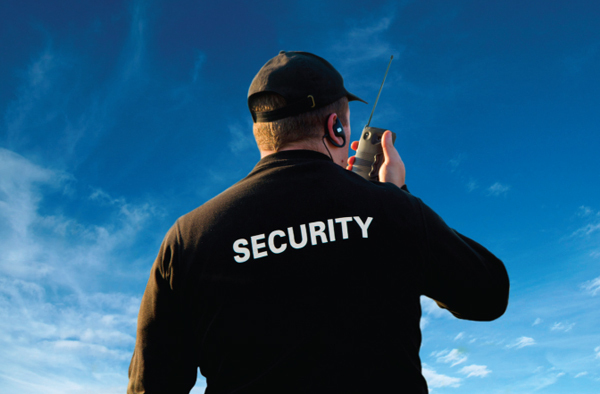 Security services should focus on de-escalation of a situation when possible; however, certain circumstances or instances may be out of their level of expertise or ability. In these situations, security personnel must focus on the threat posed to both the aggressor, as well as to the victim, and the public when present. Janitorial and security staff may be first responders depending on the threat posed or situations that arise. It is important that the appropriate personal protective equipment be provided in accordance with OSHA Guideline 1910.132. This guideline provides for a hazard assessment and identification of the necessary personal protective equipment for those hazards faced. These hazards typically include CPR and first aid treatment. First responders may also be involved with hazardous clean-up situations. To determine the regulations that apply, as well as the personal protective equipment required, hazard assessments should be completed and potential exposures identified. How is bringing a TPA onboard going to affect front line response? Will a TPA be an effective extension of the message passed along to customers, patients or patrons? If a TPA will not be involved, are appropriate personnel and training available to manage these losses? A comprehensive risk transfer program is also another strategy to manage risks. It provides an opportunity to transfer risk in situations where outside partners or vendors are involved. An effective risk transfer program not only requires proof of insurance in line with the contractual insurance requirements, but also goes to the next level, ensuring what is being supplied on the certificates is actually in place and in compliance with the contractual language. The additional insured status provided may not be in compliance with the requirements. The certificate could be issued in error (in that it provides no guarantee of coverage or insurance based on the standard disclaimer). What is interpreted to be “similar language” on a manuscript form may not be the same coverage that was requested via the contract language and the known ISO additional insured endorsements. When risk transfer is not an option, services are being provided internally or there is a desire to insure a risk — there are various coverages available. General Liability and Workers’ Compensation insurance are the coverages most commonly associated with the above-mentioned risks; however, there are a few others that also could also be beneficial including Crime, Employment Practices Liability and Professional Liability. Crime coverage provides protection against employee theft and dishonesty. Third-party crime coverage can also be added. In situations where janitorial, maintenance and security services are provided by outside vendors, this coverage can be required via contract to enhance the risk transfer program. Professional Liability insurance or errors and omissions coverage is for enterprises that offer professional and personal services. It provides protection in the event that a client is harmed from a service such as security or advice provided for which an enterprise, mall or facility is held legally liable. Janitorial, security and maintenance services pose unique risks to the enterprises they serve when interfacing with customers, patients and the general public — regardless of whether they’re direct employees, or employees of a vendor providing these services. A thorough assessment of the exposures, risk transfer vehicles and supplemental insurance coverage can help mitigate those risks.